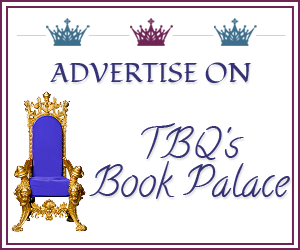 TBQ'S Book Palace: [Kame's Review]: "Running To You"
[Kame's Review]: "Running To You"
Alexandra Morrison believes she has found the perfect job as a medical sales rep in Dallas, until she has an infuriating encounter with the elusive Dr. Grayson Brooks. Grayson is used to getting his way until he crawls up the wrong side of this stunning redhead when he gives her the brush off. What starts out as a planned business meeting winds up being an unplanned entanglement. But as the past haunts the couple’s future, Alexandra keeps her running shoes on and the exit door in sight. Will Grayson conquer her ultimate fear of trust in a relationship or will he loose out to her doubts when he makes a dreadful mistake? For a limited time, the author has dropped the e-book price to $0.99! Alexandra Morrison is a medical sales representative and Grayson Brooks is a doctor in her territory of Dallas Texas. Grayson has always avoided any interaction with sales representatives, until one day when his schedule is not so tight and his office manager grants Alexandra a meeting. Alexandra does not come out of that meeting with Dr. Brooks’ signature on the dotted line, but she did leave with a feeling of sparks in the air. Alexandra and Grayson are solid characters; I enjoyed the detail DeLaine Roberts put into creating each of them. They both are strong willed bordering on overly stubborn. Alexandra is gorgeous, smart and athletic, but somehow style challenged. She relies on her best friend, Cooper, to help her pick out her outfits, and since she is trying to pay her half of the rent and make student loan payments they often shop at thrift stores. Grayson is ten years older than Alexandra and has spent time deployed overseas with the military. All of his medical training has been through the military; his medical practice’s focus is breast cancer. The story very much centers on Alexandra and Grayson and each secondary character is placed in the story to help the plot. Some secondary characters have been described specifically such as Cooper; and others, like Alexandra’s step-mother Gretchen, have very little said about them other than their name and relationship to Alexandra and Grayson. The chemistry between Alexandra and Grayson is evident on the page and I did believe their love and concern for each other. There are a number of intimate scenes in this book; I would consider them mildly steamy. But honestly the centerpiece of this book is the relationship between Grayson and Alexandra. At first I thought this book’s plot was about two people who almost immediately fall in love and their rocky path towards their HEA. Well that was until I got to the end and found out there is a big cliff hanger ending. If you read this book you will want to read book 2 to see know the resolution; the cliff hanger is unique as it’s not the typical couple fight and one leaves that we see so often in romance books it actually reminded me of the cliff hangers you see at the end of a television season; it caused me to wonder which direction DeLaine Roberts was going to take Alexandra and Grayson (I actually huffed in frustration about the wait as I loved these two so much). So if cliff hangers bother you don’t pick up this book until book 2 is published later this summer. There is one secondary character that is closely connected to Grayson that shocked me so I would not be surprised if some of the assumptions we have from this book do not hold up in the second book. I am expecting lots of twists and turns that will surprise readers. For this reason I am anxiously awaiting book 2. Do you like cliff hangers in your books, or do you avoid them like the plague? Do you have an example of one that was well done? How about doctor romances--do you have a favorite? Wow, Kame you are a reading machine! Sounds like an interesting story, but I'm not a fan of cliff hangers. I will wait to hear about the second novel from you! Thank you for reading, reviewing and enjoying Running To You. I love Grayson and Alexandra's story. I've lived with them for so long, I feel like their family. Their story continues in Two Sides of a Heartbeat coming early August. The saga continues with twists, turns, heartache and mystery, sure to keep you guessing. 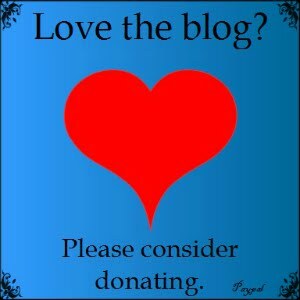 Readers and bloggers alike, I love you, learn from you and grateful for your comments. Please reach out to me on Facebook, Twitter, GoodReads or by email. When Two Sides of a Heartbeat is released, I will be planning a cocktail/signing party, so if your're close to Dallas, stay tuned! Thanks - I am so looking forward to Two Sides!